Recent archaeological fieldwork on the island of Simbo in the Western Province of the Solomon Islands has identified several new prehistoric sites. Here, we present the results of our research along with the first radiocarbon dates from Simbo. These dates and associated ceramic sherds provide a chronological and stylistic link to other islands with post-Lapita pottery and is an important step for understanding the human occupational history of the island, as well as filling a data gap in the Western Solomons. Haas, H., Braje, T., Lauer, M., Fitzpatrick, S., Kiko, L. and Ale’eke, G. (2018) “Archaeological Reconnaissance and the First Radiocarbon Dates From Simbo Island, Western Province, Solomon Islands”, Journal of Pacific Archaeology, 9(1), pp. 63-69. 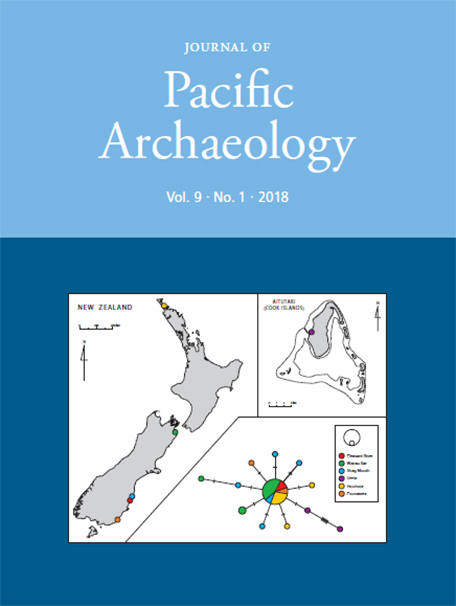 Available at: https://www.pacificarchaeology.org/index.php/journal/article/view/222 (Accessed: 22April2019).